A train route from Xiamen into Europe will be extended from Duisburg in western Germany to London, the capital of the United Kingdom, local media reported Aug 5. The extended trip is expected to take 20 to 22 days to complete, 10 days fewer than the Germany-to-London seabound options previously relied upon. 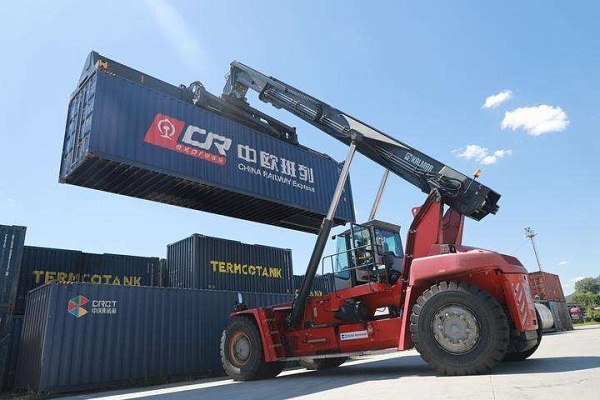 According to Xiamen free trade zone management, the party responsible for the route's trains, the extension will further the reach of China-Europe rail transport and facilitate trade between China and the UK. Now soliciting cargo, the train will definitely carry electronic products, clothing and shoes. Cargo from Japan, South Korea, China's Hong Kong, Taiwan, and members of Association of Southeast Asian Nations (ASEAN) can also be carried expediently to London by train via a combination of sea and rail transport. Since the China-Europe route opened in August 2015, 329 trains have departed Xiamen carrying cargo worth 5.4 billion yuan ($790 million).